Enjoy a tasty alternative to candy with these delicious and nutritious treats! Protein Bites are a guilt-free snack that’s perfect for sharing. Enjoy an energy burst with this fruity cool Beverage Mix. Just add it to cold water for a refreshingly delicious way to enjoy a low-calorie, healthy snack that helps satisfy hunger pangs anytime. Available in Peach Mango flavor. -15 grams of high-quality whey protein. Add to your Formula 1 Nutritional Shake Mix for extra protein and a great taste sensation. Add 2 tablespoons of Personalized Protein Powder for 10 extra grams of protein. Powered with vitamins and minerals for energy and health, this refreshing low-calorie drink comes in two delicious flavors to satisfy your hunger and thirst – wherever you are. 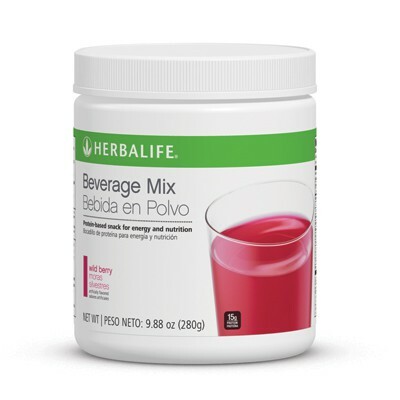 Blend or stir 2 scoops (19.5g) of Beverage Mix with 8 fl oz of cold water and enjoy. Take mid-morning and/or mid-afternoon to help both satisfy cravings and meet your daily personal protein requirements. &copy; 2018 ShoptoShape - Herbalife Independent Distributor. All Rights Reserved. No reproduction in whole or in part without written permission. All Rights Reserved. | All trademarks and product images exhibited on this site, unless otherwise indicated, are the property of Herbalife International, Inc.